Selling Restaurants presents this five day deli caf� with a premier location in the heart of a central San Diego business district. Immediate neighbors suppling a constant stream of customers including county gov�t offices, Jack in the Box corporate headquarters and the San Diego Chargers administration offices. This very well received deli is a local favorite since 1979. Talk about staying power, this location rocks! Includes a great menu and recipes and the owner will stay on for extensive training if needed. They have an exclusive on Deli-cafe foods and coffee in the business park so you know there will not be any competition nearby. 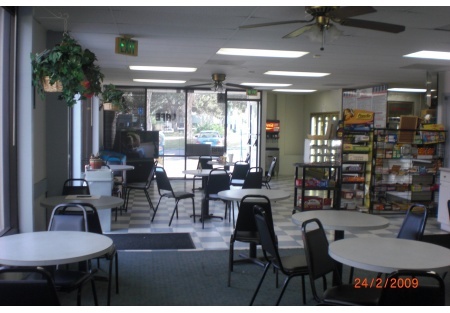 Location has plenty of parking for customers, a large relaxing patio for outside dining and a nostalgic interior lined with old photos of San Diego. The space has approximately 1838 square feet inside and 500 more outside. The lease expires 12/31/2010 with a five year option available. Rent is only $2,269 including cam. It is easy to cash flow with rent like this. Big potential here with just some simple adjustments add some local marketing, delivery, and increase catering and you are easily over 1000/day. The opportunity to increase sales are huge. If you are a motivated buyer who loves meeting people and making money, this is this place for you. Select the orange button below to get the name and location. This is a Stone Path Brokerage Services, Inc. DBA Selling Restaurants San Diego listing.